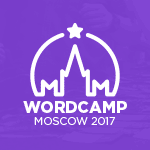 Gateway comes in two versions, first for an older release of WP e-Commerce (3.7.x), second for newer release of WP e-Commerce (3.8.x). After purchase, you will receive both versions, for older and newer release. – Sending to MoneyBookers system data of order (amount, description, identifier, etc. ), user data (firstname, lastname, address, etc. ), store data (name, email). 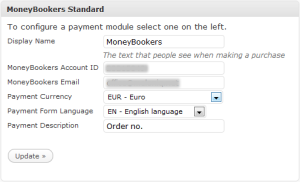 – IPN (Instant Payment Notification) Receive notifications from MoneyBookers about transaction status (pending, processed, canceled …). The store is kept informed of the change in transaction status without user interaction (eg. clicking on the link to confirm payment). Supported currencies: EUR, USD, GBP, PLN, HKD, SGD, JPY, CAD, AUD, CHF, DKK, SEK, NOK, ILS, MYR, NZD, TRY, AED, MAD, QAR, SAR, TWD, THB, CZK, HUF, SKK, EEK, BGN, ISK, INR, LVL, KRW, ZAR, RON, HRK, LTL, JOD, OMR, RSD, TND. Supported form languages​​: English, German, Polish, Spanish, French, Italian, Greek, Romanian, Russian, Turkish, Chinese, Czech, Dutch, Danish, Swedish, Finnish. Gateway is limited to the name of the company (or person) making the purchase. It does not matter whether the company/person has one or ten stores, one license covers them. Webmaster creating stores for different companies/persons acquire a license for each of these companies/persons separately, first at the standard price, the next for 75% of the price. Payment gateway for system: dotpay.pl, platnosci.pl, transferuj.pl, przelewy24.pl, cashbill.pl. To purchase gateway not listed above, please contact us. 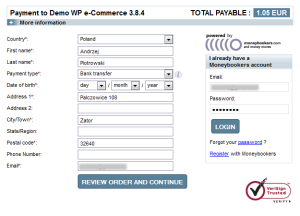 Wpis opublikowany w Skrypty i otagowany credit card, gateway, module, moneybookers, payment, payment gateway, skrill 30/06/2011 przez meloniq.